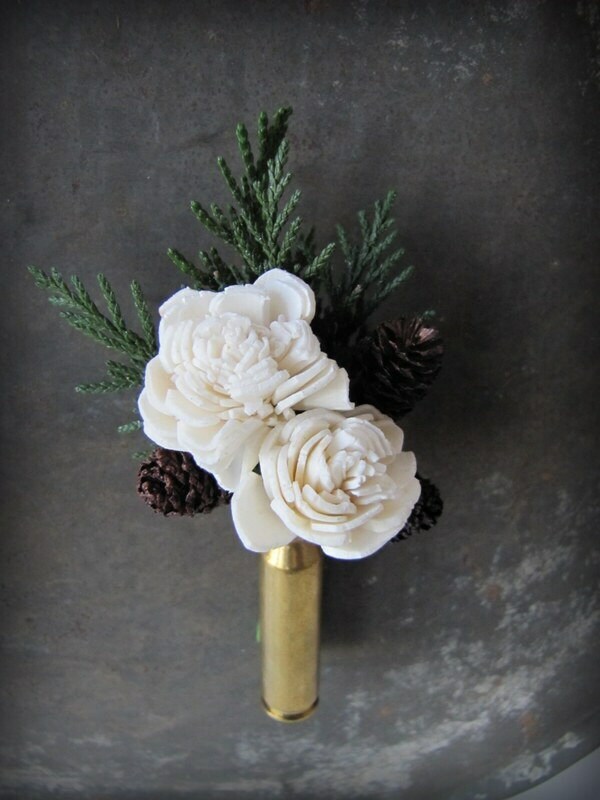 This boutonniere is perfect for the guy who wants something unique and masculine. 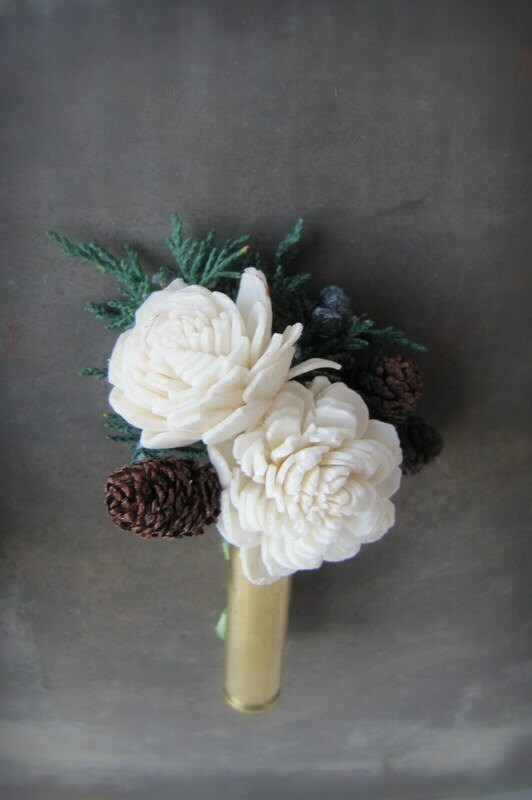 The boutonniere is composed miniature sola flowers, miniature alder cones and either preserved juniper or preserved cedar greenery. 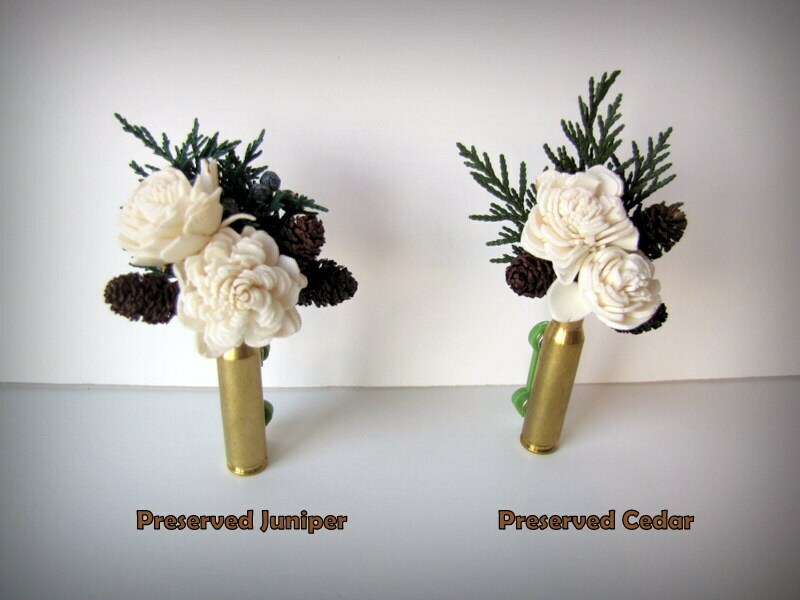 You may choose your greenery type at checkout. 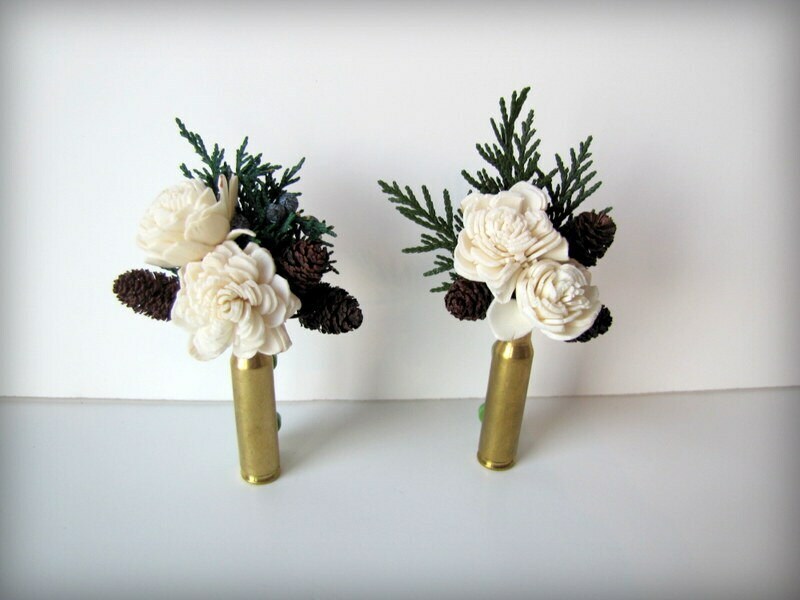 Perfect boutonnieres for police husband and wife!